While in the West ‘the Caliphate’ evokes overwhelmingly negative images, throughout Islamic history it has been regarded as the ideal Islamic polity. In the wake of the ‘Arab Spring’ and the removal of long-standing dictators in the Middle East, in which the dominant discourse appears to be one of the compatibility of Islam and democracy, reviving the Caliphate has continued to exercise the minds of its opponents and advocates. 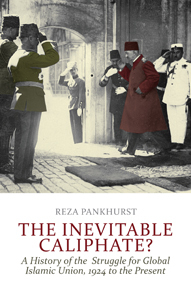 Reza Pankhurst’s book contributes to our understanding of Islam in politics, the path of Islamic revival across the last century and how the popularity of the Caliphate in Muslim discourse waned and later re-emerged. Beginning with the abolition of the Caliphate, the ideas and discourse of the Muslim Brotherhood, Hizb ut-Tahrir, al-Qaeda and other smaller groups are then examined. A comparative analysis highlights the core commonalities as well as differences between the various movements and individuals, and suggests that as movements struggle to re-establish a polity which expresses the unity of the ummah (or global Islamic community), the Caliphate has alternatively been ignored, had its significance minimised or denied, reclaimed and promoted as a theory and symbol in different ways, yet still serves as a political ideal for many.